Heather & Jean LeBlanc have promoted the Atlantic Classic Championships since 2007. They have held numerous Fitness & Bodybuilding Seminars in Moncton with record breaking numbers of up to 200 participants. They have brought in to CANADA some of the biggest names to hit the Olympia stage such as; Nicole Wilkins, Nathalia Melo, Amanda Latona, Kai Greene, Dana Linn Bailey, Rob Bailey, Flex Lewis, Ali Rosen (Lewis), Natalie Waples, Leah Johnson, Ashley Kaltwasser, Sadik Hadzovic, Zane Watson, Neil Hill and Chris Bumstead. 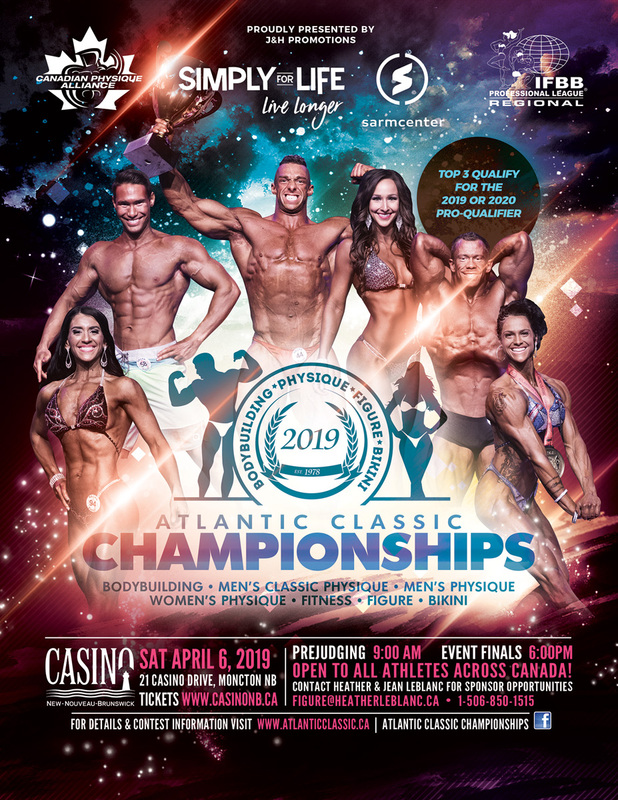 They have also had special guest IFBB Atlantic Canadian Pro’s take part in several events; IFBB Pro’s Samantha Thorpe, Greg Doucette, Santana Anderson, Mike Johnson, Bruce Patterson, Julie Peterson, Jaclyn Wilson, Rachel Vienneau-LeBlanc, Kat Delima, Mike Lynds, Angela Doucette, Janelle Samson, Julian Colley, Prince Boabang and Erik Bywater. They’ve had Record Breaking Numbers of Athletes in the past several years at their events exceeding in excess of 271 stage bodies.